Our best range promotion for the year was out holiday gift certificates. when you buy $50 you get a $10 bonus and when you buy $100 you get a $25 bonus. The bonus is valid only January 1st – March 31st, so this requires them to come back early in the year. We did over $42,000 last year in gift certificates in the month of December. We are part of the Sticks for Kids Program. 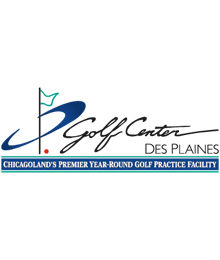 We have 3 special recreation groups that come to the Gofl Center Des Plaines on a regular basis who learn the game of golf. We also work with a work-study program from Maryville Academy (Archdiosis of Chicago facility) for at risk kids. all local golf teams and the players receiev a 25% bonuson all purchases as well.